Aizawl, Nov 12 : Minorities are almost invisible in Mizoram where Christians account for 87% of the population. The ones that want to be noticed this assembly election were lost for 3,000 years. Mizoram and adjacent Manipur have some 7,500 Jews who trace their origin to Manasseh and Ephraim, the sons of Joseph. They call themselves B’nei Menashes, one of the lost tribes of Israel. 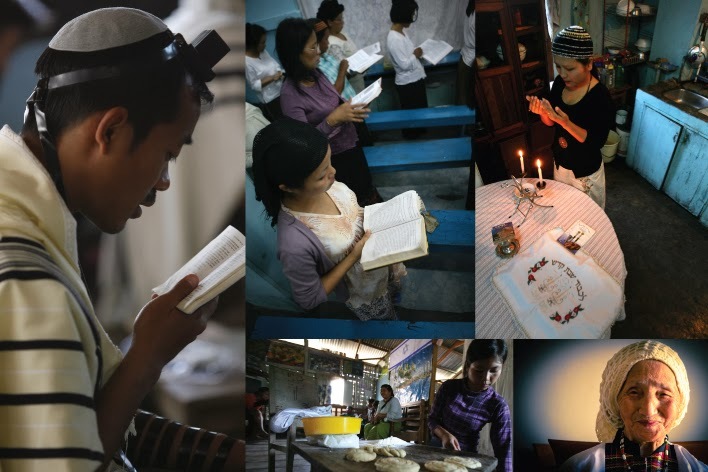 The Jews constitute only 0.10% of Mizoram’s population — not a number to influence the outcome in any of the 40 assembly constituencies. But the descendants of Ephraim want their representatives to improve the lot of the Jews so that no one feels the need to relocate to Israel. Israeli rabbis connected with the B’nei Menashes 20 years ago after Jewish scholars traced the route the descendants of Manasseh and Ephraim’s had taken via Afghanistan and Tibet before vanishing. A DNA study by Kolkata’s Central Forensic Science Laboratory in 2002 found the genetic sequence code of some Mizo Jews to bear resemblance to that of the Jewish community of Uzbekistan. This led to conversion of locals through a dip in the Mikveh or holy pond to go to the Promised Land. “Mizoram is our home, and we want to make her our Promised Land if the political masters ensure greener pastures for us,” said Lalthlamuani, president of Chhinlung Israel People Convention and a leader of the Ephraim community. The convention is an umbrella organization of all Jews of Mizoram, Manipur, Myanmar and Bangladesh and has 300,000 members.